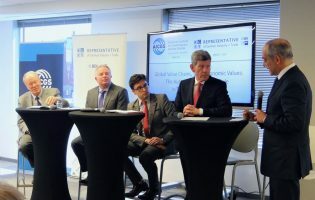 As the dialogue around trade on both sides of the Atlantic has become increasingly heated in the last months, the participants in the Geoeconomics group of the AICGS project “A German-American Dialogue of the Next Generation” came together to identify and discuss the relevant issues facing the United States, Germany, and the rest of the global economy. The participants are experts with various backgrounds, including security, international trade policy, and economics. Below are some of the main points discussed. Despite the Trump-Juncker meeting on July 25, it is not expected that tensions will cool; the relationship will remain unstable. 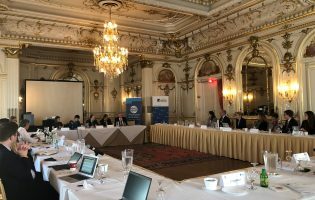 Paradoxically, the geoeconomic situation can be used to highlight a few opportunities for collaboration by focusing on common interests on both sides of the Atlantic. Even if the tactics don’t align, finding a common understanding of the problems in the global system is an opportunity. In Germany, although people are less skeptical, there still exists a fear that the EU cannot fully rely on the U.S. There has been progress in making foreign investment oversight and screening tougher, but that is still to be translated into practice. 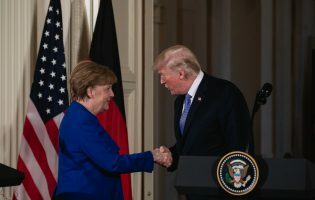 While the Trump administration has favored protectionist policies, it has not tapped into industrial policy; there might be greater opportunity for cooperation between Germany and the United States in terms of infrastructure, for example. Similarly, there are opportunities for more dialogue and building a more vibrant cybersecurity policy. Where should the focus be now? Where is the relationship headed? The European Commission most likely will not be able to have a mandate for a free trade negotiation in the next two months, the deadline the U.S. and the EU have set for progress. Regulatory agencies should be encouraged to have a dialogue, and preventing the negative should also be an objective (e.g., tariffs on cars). Momentum will be necessary to persuade the president, so the two sides should not focus on resolving all issues at once. Trump is genuinely worried about China and sees it as an adversary. In regard to NAFTA, South Korea, and Europe, is his main objective to win or does he truly think there exists a structural problem? Where does the European Union fit into these issues? What could progress between the U.S. and the European Union look like? 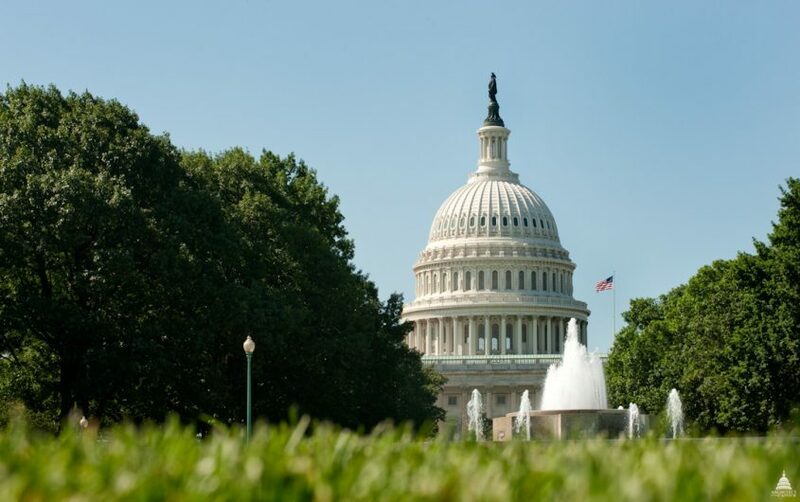 There must be an emphasis on regulatory wins, although it might not be realistic to anticipate that both sides will agree on regulatory issues in the next two months. Electric car plugs are an example of regulatory negotiations on which the two could agree on. There can be a standard plug that is used across multiple countries, which would also be a win for future regulations. The U.S. and European Union both agree new regulations regarding state-owned enterprises are needed, which could further cooperation between the two. As the WTO requires that trade agreements cover all trade, there exists a risk that President Trump may pull out of the WTO. How much will the United States will engage with the European Union to fix the problems with China? Will this take place inside or outside of the WTO? Again, if President Trump feels as though the WTO is holding him back, he may decide to withdraw from the organization. Example 1: the laws on reporting subsidies within the WTO are not strict enough and the practices are often not followed, specifically by China. Example 2: oftentimes, in China, practices are happening below the federal level, which presents a question of how to regulate those practices. Example 3: What is a developing country? How can reforms be made to limit the ability for some countries to jump through loopholes? If the United States leaves the WTO, it might be supplanted by China. This is a phenomenon which is already emerging within other areas like UNESCO and cybersecurity. In terms of reforming the WTO, it would be crucial to get China on board by convincing the Chinese government that reforms are also in its best interest and can further promote their aims. However, one must also consider how a more active China in the WTO would influence the global system, the winners, and the losers. Think of ways to bring in the so-called “losers” into the economy. What does cooperation between Germany and the U.S. in terms of the workforce look like? Globalization has received different reactions on both sides of the Atlantic. Although Trump claims that he will fix trade deals, the solutions really are to be found in domestic policies, not trade policies. Distinguishing between trade policy and domestic economic policy is important. Furthermore, in Europe, chambers, unions, and companies are all collaborating, while in the United States, there exists a contentious relationship between business and unions. One of the main differences between Germany and the United States is that training in Germany is done at the state level, not the federal level. In the U.S., training initiatives should be removed from the federal level, depoliticized, and moved to a few states to be tested. Another key difference is the apprenticeship programs available in Germany even for smaller companies in forms of joint programs. It is important to note, however, the German apprenticeship model cannot be adopted identically in the United States, but there are components that can be implemented in the U.S. as well and this is beginning to happen. The United States has a completely different welfare program that would affect the outcome and success of implementing such apprenticeship programs in the U.S. The United States compared to Germany is a much larger country, meaning that geographical differences and regional identities would have to be considered when implementing apprenticeship programs. Where are these programs most practical? Are people willing to move in order to have access to the right program? The digital economy is developing without rules and regulations. What are the future implications? Is a more ordered digital economy necessary? How does this influence the opportunity for U.S.-EU or U.S.-German cooperation? The digital economy is one of the areas with the most potential but also uncertainty, as global efforts to establish rules and regulations are falling short. Different regions and countries are reacting differently to the digital economy. The European Union is not a leading technology sector in the world; however, EU countries are taking the lead in setting rules. The cultural differences between the EU and the U.S. highlight that the EU’s first instinct is to regulate, then innovate. The U.S. has the opposite approach, and there is a concern that some American innovators will not be able to compete at the European level if they do not meet European standards. The balkanization of rules can have serious effects on the economy, especially within the European Union. Despite being a hub for technological innovation, the United States has not taken a leading role on the rules-setting front; President Trump is not thinking geo-economically about the future implications of digital economy rules on the U.S. global position. The European technology sector needs to be able to develop locally and spread globally. GDPR will protect the European Union, but Europeans will need to get into the offensive mindset to compete in tech markets. Macro risks exist in the global economy, which can spill over rapidly into Europe. Often EU rules about current account balances are monitored but not enforced properly, which undermines Germany’s ability to gain and maintain trust from its European partners. Germany’s trade with non-European countries is increasing at a time when it could be stepping up its imports from within the Eurozone. Additionally, Germans often view themselves as producers, not consumers, but have potential for more consumption. There is a lack of visionary leadership on the European stage; President Macron might be the most important actor in the coming year. The future of Europe is unclear; there are disruptors on both political sides, the Social Democrats are weaker, and in the European Parliament next year a likely contest between the Christian Democrats and the Liberals will impact the EU’s future.